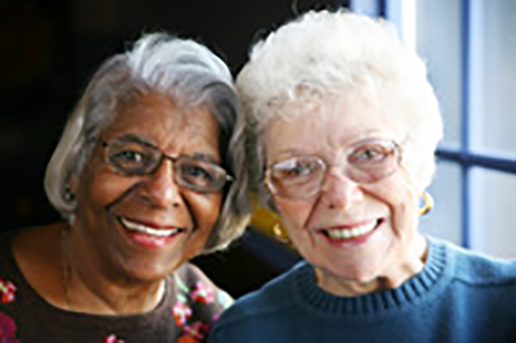 Assisted living for the elderly with quality care, independence, privacy and dignity. Welcome to Sanborn Gratiot Memorial Home! It is the mission of Sanborn Gratiot Memorial Home to provide an affordable, comfortable, safe, assisted living home to the aging community while striving to maintain a high quality of life for our residents through social activities and family involvement. 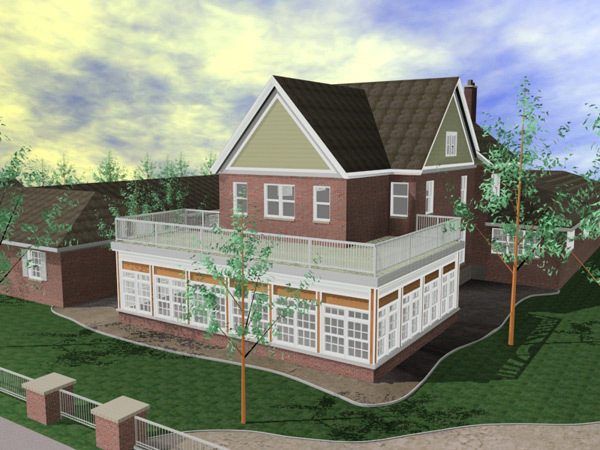 We are pleased that you are considering Sanborn Gratiot Memorial Home for your assisted living needs. Our staff is dedicated to a tradition of caring that spans over 70 years and is proud to deliver quality assisted living in a safe environment that promotes independence. We are committed to resident companionship, privacy, safety and dignity to help ease elderly individuals into our caring community. The Sanborn Gratiot Memorial Home "Laura Newsome Legacy Award" will honor an individual or organization who reside in the Blue Water Area of Michigan who, via their professional affiliation or volunteer efforts, or due to its mission and services, has improved and enriched the lives of seniors in and around St. Clair County, Michigan. 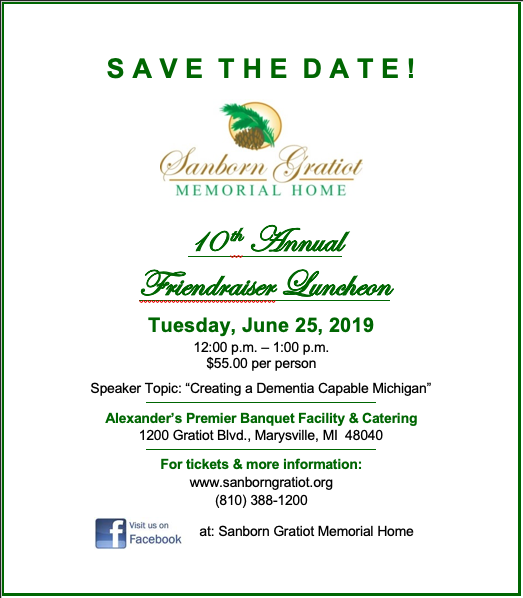 The Award will be presented at Sanborn’s Annual Friendraiser Luncheon on Tuesday, June 25, 2019, at Alexander’s Premier Banquet Facility & Catering, 1200 Gratiot Blvd., Marysville, MI 48040. Nomination submissions must be received by email no later than Friday, May 10, 2019. We welcome visitors and encourage you to CONTACT US with questions or if you are interested in touring our home. Sanborn Gratiot Memorial Home is happy to announce that it is now an affiliated organization with United Way of St. Clair County enabling you to direct your gift to Sanborn Gratiot Memorial Home. 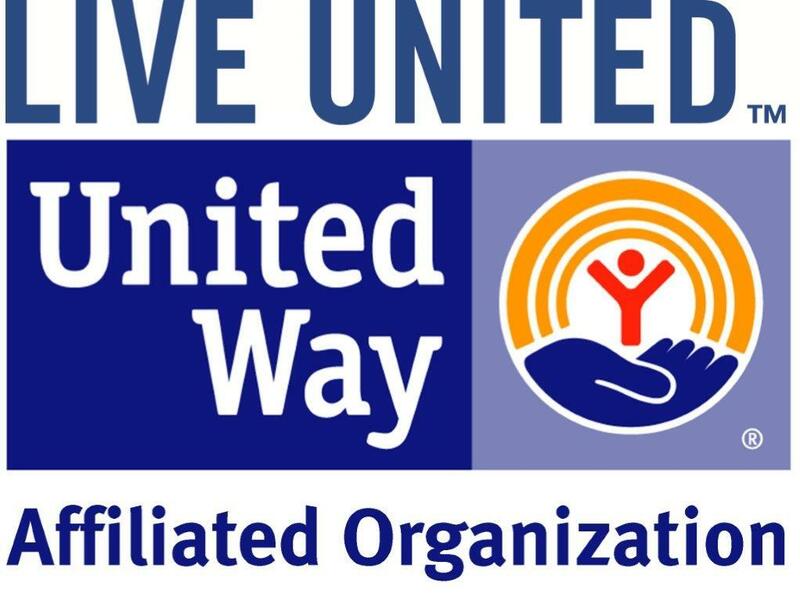 Sanborn Gratiot Memorial would like to encourage you to give generously to the United Way of St. Clair County to support its efforts to provide assistance to many deserving community agencies. Take some time to check out the United Way of St. Clair County's website(uwstclair.org) to view current activities, fund raisers, newsletter and information about their current campaign. Donations to the United Way of St. Clair County can also be made on their website or feel free to call Barb Watson @810-985-5631 to see how you can be an "everyday hero". A new and improved home is in the works! We are leading a capital campaign to raise 1.4 million dollars for much needed enhancements to Sanborn Gratiot Memorial Home. Please consider making a generous contribution to the project. Your support will help insure that lower income seniors will always have an affordable and quality housing alternative.